In 1979 protests in Iran break out over the countries leadership, forcing violent attacks on the US embassy. Six Americans in the embassy manage to flee and take refuge in a house of Canadian ambassador Ken Taylor (Victor Garber). Yet it becomes increasingly likely that their faces are going to be recognised and they'll be tracked down. The CIA decides that they must come up with a plan to try and rescue these people. 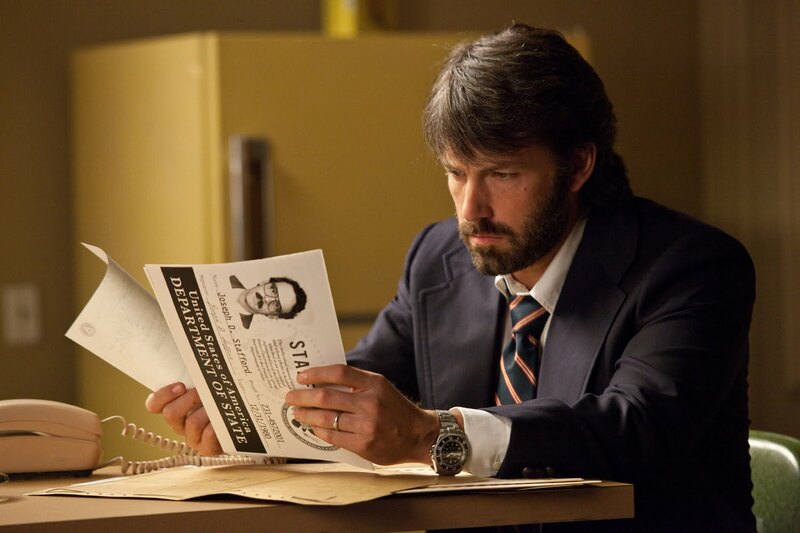 Enter Tony Mendez (Ben Affleck), a burnt-out agent who is isolated from his family, including his young son. Offset by the CIA's incompetence, Mendez hatches his own rescue plan: to pitch a fake movie, pretend to shoot it in Iran and have the six hostages pose as a film crew to transport them secretly out of the country. He has the support of his fellow agent Jack O'Donnell (Bryan Cranston) but needs proper film aid. This comes in the form of crabby film producer Lester Siegel (Alan Arkin) and makeup artist John Chambers (John Goodman), who supply a script for a science fiction film called "Argo" as their cover. Travelling into the hostility of Iran, Mendez must convince the six embassy workers of their new roles and help them memorise their fake identities. 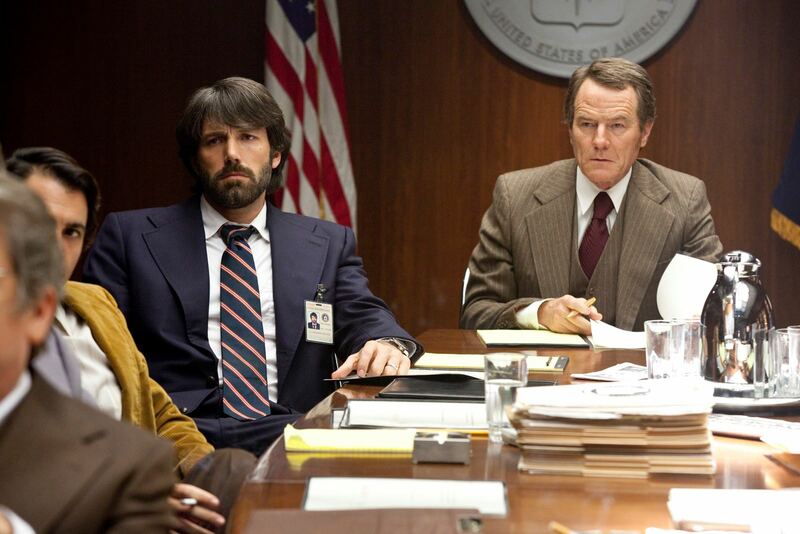 Argo is Ben Affleck's third film as an actor turned director and arguably his most important. The film is based on a true story, however unlikely, but contains uncanny modern day parallels. The recent attack on a US embassy in Libya, for example, is a frightening coincidence. But the movie is also founded in a deep political subtext about the way that global events are fictionalised and increasingly detached from the truth and the reality. That's what sparked the involvement of producers George Clooney and Grant Heslov, who worked together on Good Night and Good Luck (2005). Clooney is an outspoken liberal in Hollywood and has been deeply critical of both the War on Terror and the Bush administration. Prior to invading Iraq, he compared the Bush government to mobsters from The Sopranos. 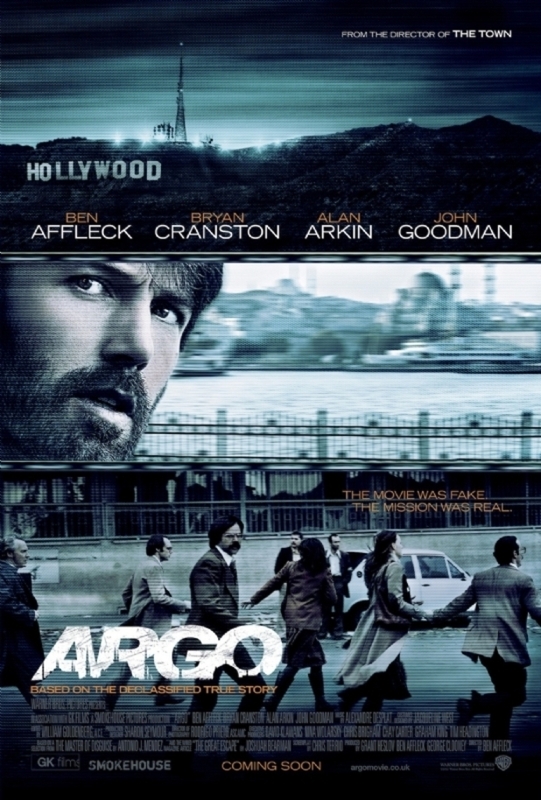 But wisely, Argo doesn't draw direct parallels to Iraq. How could it? Instead, it's conscious of the way that political events, especially through cinema, are distorted and fabricated. The film is surprisingly self-critical in that regard, but well-equipped to pose moral questions that subvert the formula of its subgenre and Hollywood's general aversion to authenticity. The film's characters are forced to ask whether a plan as silly as this is an appropriate solution and whether they should be playing make-believe when people are being publicly strung up and executed. "This is the best bad idea we have", O'Donnell announces. Structurally, the film does possess a conventional framework, with Acts 1, 2 and 3 unfolding as you remember them, but the scenes are deliberately infused with ongoing sparring session between fiction and reality. Look at the opening prologue that summarises the political context, leading to the riots. Affleck uses the format of a comic book panel to outline the tension. He then intercuts between real footage and his own reenactment. The effect is seamless and masterfully handled: the political back-story is recounted factually, but with visibly fabricated edges, only for the reality and the dramatisation to become deliberately opaque. Problematising their inseparability, Affleck affirms cinemas collision with non-fiction, revealing his own film to be a highly stylised account of the crisis. The meta layers of Chris Terrio's excellent script also provide the most enjoyable and funny parts of the movie: the admission that Hollywood is a place of huge egos, and the bigger the lie, the bigger the profit. The humour in the movie scenes is set at the right pitch by experienced, charismatic actors, especially Arkin, who know how to control the deftness of the lines. The wit is dry and self-depreciating but not overly broad that it ever slips into self-parody or silliness. When Goodman's character is asked about a film and who the disappointed target audience will be this time he says: "People with eyes". And frankly, in a time where clever dialogue is being steadily replaced by boring exposition, like in video games, isn't it refreshing to hear dialogue so witty that it obtains almost a lyrical quality? Anticipating any jarring tonal shifts, Affleck juxtaposes the mood between two locations: we see the silly movie costumes of a robot and a space monster contrasted against the Iranian household: the framing is tighter, more intensified and the colour filters grainier as to express the increasing tension levels. Hollywood seems a lot more superficial from that angle. If there are any hiccups, they occur late in the second half where the pacing begins to dip slightly, when Arkin and Goodman disappear briefly, but only for the movie to hit top flight again with an unbearably tense climax. The editing in this final sequence, and the relationship between scenes, as characters rely sometimes unknowingly on each other and sheer luck, is handled with an astonishing level of confidence. If the film's structure does seem overly familiar, its rare quality is that the filmmakers understand that their work is a more sophisticated brand of fiction; compared to what really happened and how continually artificial movies are in relation to the real world. How often can you say that a Hollywood film and its director are this humble either?